At first it was really hard for me to understand what was happening, because this book was continuing the story of the previous series I guess. And if you like me haven't read it it's confusing. There is almost nothing about Anna's tuning into a wolf, or her life in the pack, finding her mate. All of that had already happened. I liked it, but it's better if you read the author's previous series first. It was hard for me to understand Anna, because even if it's mentioned what she's gone through it felt like knowledge from second hand. From some of the reviews I read Charles was also mentioned in the other series. 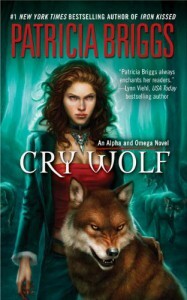 It was hard for me to connect with the characters, to understand them, but I liked the book- the witches, shifters, guardians ;d ;d. It was something different from the shifters book I usually read.